'Tropical 24' - Family-sized 24sqm Trailer Tent Top. 'Easy Open 18' - 18sqm Trailer Tent Top. 'Roof Topper 8' - 8sqm Roof Top Tent. We also have one unopened 40sqm Dome Tent in stock for sale. We're located in Malaga, just 15 minutes North of Perth City. Just drive up Alexander Drive. Click here to locate or contact us. Phone: 0410 413 144 | Please call first, as we can get there almost anytime! We're just minutes away. We are the direct importers, so there are no middle-agents. Economically, you'll find we're priced right. We design our own features that suit our harsh climate, making our tents good for all seasons. Economise, by choosing your own design of trailer. You can get into a complete unit and on the road for as little as $4,850. $1,995 for an 18sqm Galaxy tent, plus $2,855 for a basic 7x4 high-sided trailer, sourced locally. 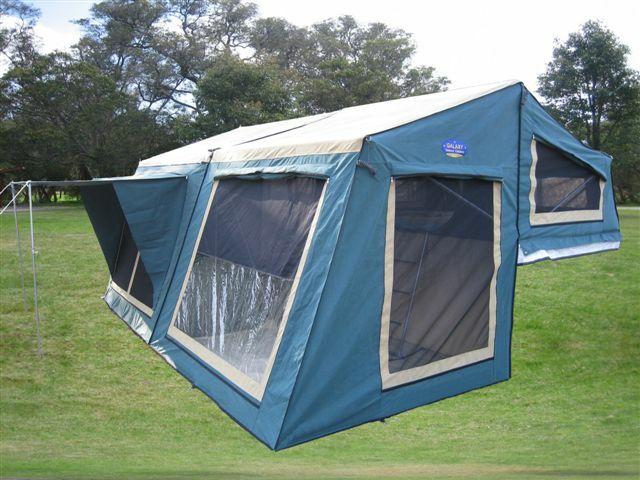 Galaxy Campers for your Best Outdoors Enjoyment! 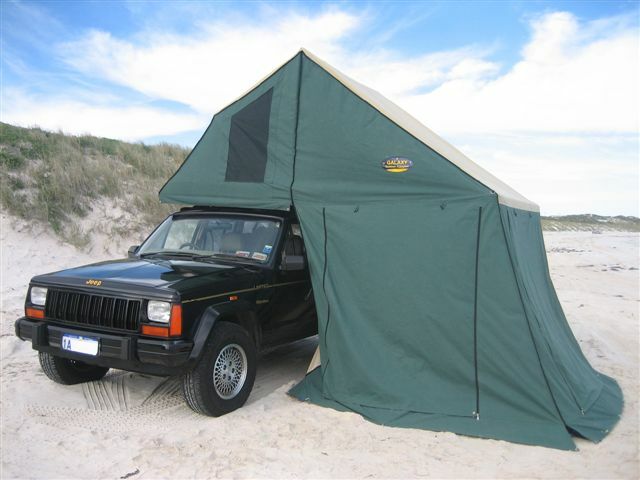 Our tents are made to suit Australian conditions. Our range has sloping sides rather than straight up and down like a house. Tents with straight up and down sides are likely to collapse in strong winds. Tents designed with sloping sides help reduce wind pressure. We include a high quality waterproof sunroom/annex roof (not an extra). Our annex wall is included which fully encloses the annex. Our windows can be put half way down when it's raining to allow light to still enter through clear PVC half windows. All windows have mini-awnings that can be poled and pegged out. All windows are mosquito/midgee proof. Includes heavy duty 2 piece YKK zip on cover, which is big enough to put extra items under, like folding chairs and folding tables. 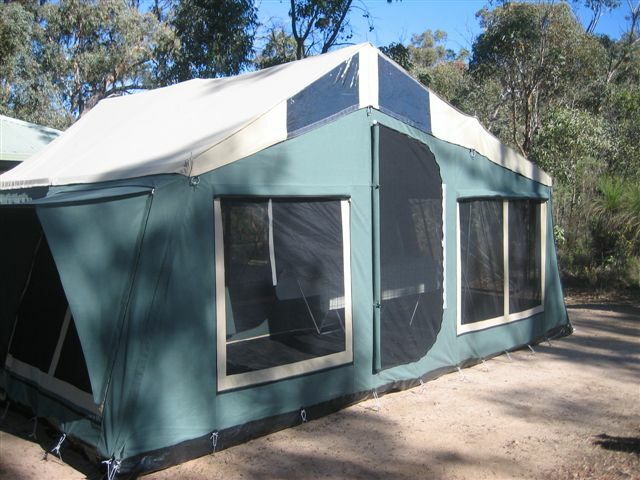 We have a leading camper tent design and manufacturing team and as replication is the sincerest form of flattery, our designs have been copied Australia wide. Here is a list of just some of our innovative improvements to make your camping holiday more enjoyable. Reinforced stress points to prevent eyelets popping out. Double-stitching is employed on all seams and joins. Our Trailer Tent tops use an 18mm solid marine-ply bed-base with steel-frame, whereas our Roof-Top tent has a lightweight aluminium base so that items up high don't upset the centre of gravity when you're hooning around sand-dunes. Removable canvas wind/rain/sun flaps we call a rain shield. Velcro attached floor in annex. Windows to let in light when it's raining. Heavy duty extra large YKK zip on travelling/dust cover. Large windows that are not so big that it weakens the tent structure. PVC around windows for added water proofing. Remember that a wall that is nearly all fly screen will be weakened and likely to catch and tear when being folded up or erected. Some manufacturers still falsely advertise that they use marine ply when it in fact is just painted ordinary ply, which is not waterproof and will not last very long. 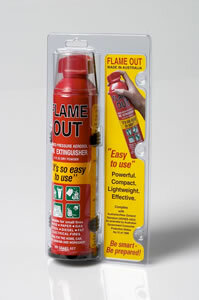 In addition the black paint used may contain lead and other harmful chemicals. Straight vertical tent sides are prone to collapse in moderate winds. Ensure you look for models with sloping sides. Tents that have a dark roof will absorb the heat, that is why we don't use dark coloured materials on our tent roof. Make sure the annex floor can be attached with velcro to help keep out insects and water. Check you are getting a heavy duty YKK zip on the travelling/dust cover - not a cheap light weight one that will tear easily. For extra comfort make sure that the mattress is at least 120mm thick. Check that all ropes/pegs and ladder come in their own separate carry bags and that the carry bags don't leach dye.